Holidays to Ukraine up to -70% off To take advantage of these offers, join now for free! Home to just under 3 million inhabitants, Kiev lies at the heart of Ukraine's long and intricate history. A city of gold-tipped domes, daunting statues and fascinating museums, Kiev is a place for the wandering soul. Try an alternative European holiday or city break where you can discover countless historical sights. Ukraine's history is complex. It is said that Kiev's own history goes back 1,400 years, and during that time the city has seen the world change many times over. 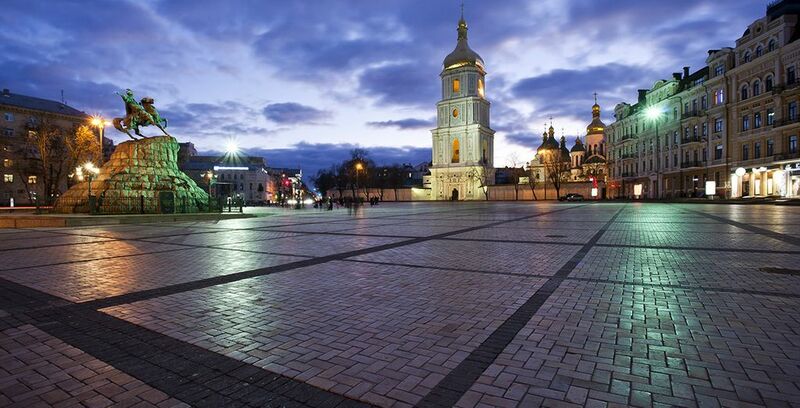 A holiday to Kiev opens the door to a stunning variety of museums, cathedrals and monasteries. Kiev will give you inforgettable memories. These include the Monastery of Caves, which is in fact a jumble of several separate monasteries and Orthodox buildings piled together. The Cathedral of Saint Sophia, where you'll find impressive frescoes dating back to the 11th century. Both of these attractions are listed as World Heritage Sites. Book a city tour of Kiev and tick the top attractions off your list, leaving you more free time to explore the city on foot and make discoveries of your own. Kiev is a top choice for last-minute city breaks. Flights to Ukraine are affordable year-round and you can find some excellent hotels and accommodation in the centre of the city. Grand hotels sit on bustling squares and smaller boutique hideaways lie on quieter, ancient streets. Plus, Kiev is a very much a year-round destination itself. Kiev's beautiful squares come alive in summer, but there is also a crisp beauty to the city even during the colder winter season. Piercing spires shoot up into the winter-blue sky and the cosy cafes, best restaurants and enormous museums are plentiful enough to keep you away from the biting chill. Kiev fuses the culture, tastes and art of Russia with Western Europe. The Curtis is known by both Russians and Ukrainians as the 'mother of all cities'. Once you wander its winding streets and stumble across stunning architecture and quaint restaurants serving homely comforts, it's easy to see why. Kiev's culinary scene embraces many cultures. Try traditional Ukrainian pampushki (warm, soft rolls doused in oil and garlic) for example. Or, step into a French bistro, an Italian pizzeria, or a pub serving Czech beer. There's no shortage of belly-pleasing treats in Kiev. You'll need the fuel, too. Kiev's nightlife involves a flurry of dancers at one of the larger nightclubs, or the tantalising trickle of chips at its casinos. Kiev's arty offering comes in the form of highly-rated museums and beautiful architecture. Top recommendations of things to do on a busy day in Kiev include the previously mentioned Monastery of Caves or the Cathedral of Saint Sophia. Another popular attraction is St. Cyril's Monastery. Home to gorgeous frescoes which adorn the main altar, walls and ceilings, it's definitely worth a visit. Although slightly further out of central Kiev, public transport (on the metro) or taxi options are available. The journey is worth it for the impressive 19th century Symbolist depictions of four figures, whose eyes seem to follow your progress across the Monastery floor. If you're looking to step away from the ornate architecture for an afternoon, you could visit the Kiev Art Gallery or the National Art Museum of Ukraine. Kiev's Old City is a place you can't miss on a Kiev holiday. For example, make your way to the Andriyivski Uzviz and discover a bustling street market on your way. There are also beautiful views over the city centre and Dnepr River. Best wandered hand-in-hand with a loved one, Kiev's older centre is picturesque and broken up into narrow streets, wide squares and delightful parks. Book a boutique hotel close to the action and enjoy some Ukrainian grandeur and romance just steps away from Kiev's top attractions. It's a destination certainly underrated for European romantic city breaks. Kiev is home to a great, cosmopolitan shopping scene. From the world's top brands to authentic Ukrainian goods and wares, you'll find plenty of places to splash the cash. Centred around the main tourist streets - Shevchenka Boulevard, Kreschatik Street and Krasnoarmeysksaya Street - there are lots of market stalls and gift shops where you can pick up souvenirs for home. Soviet memorabilia, Ukrainian arts and crafts and popular liquors are all top choices of the savvy shopper. 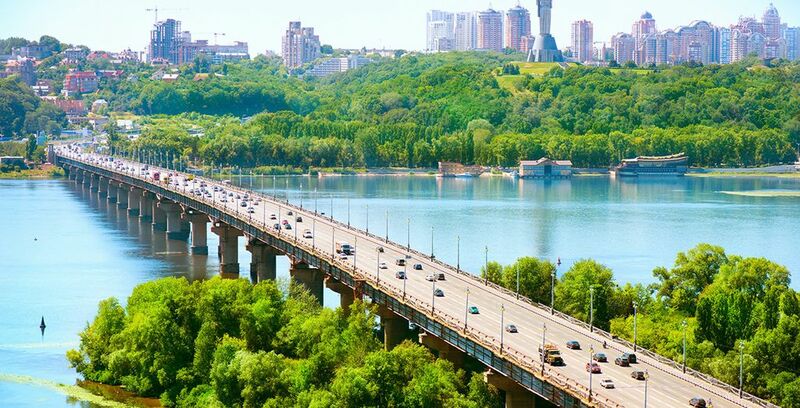 Kiev also boasts plenty of recreational activities, including spa days, saunas, sports centres and outdoor activities across its many green spaces. Holidays to Kiev will take in some of Europe's finest architecture and there is so much to do and explore. Every corner of the city has secrets waiting to be discovered. It could take weeks to cover it all! Which is why it's best to just take the city at your own pace. The most central area of Kiev is Maidan Nezalezhnosti, from which you can reach most of Kiev's typically popular tourist attractions. 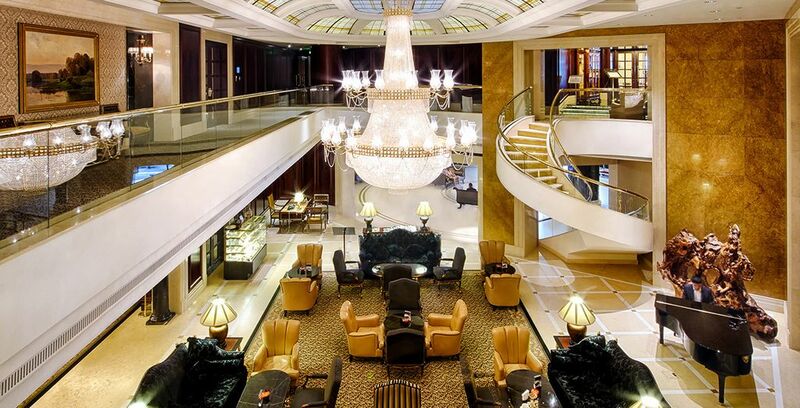 This is the top place to stay in Kiev! Alternatively, the Tara's Shevchenka University area is just a short distance from the centre. It offers an atmosphere which is laid-back and lovely. There are various attractions to check out, including St. Michael's Cathedral, the Golden Gate, and of course, St. Sophia Cathedral. Locals say that early May is the best time of the year to visit Kiev. The weather is cooler and the chestnuts are in full bloom, lending the city a charming atmosphere. 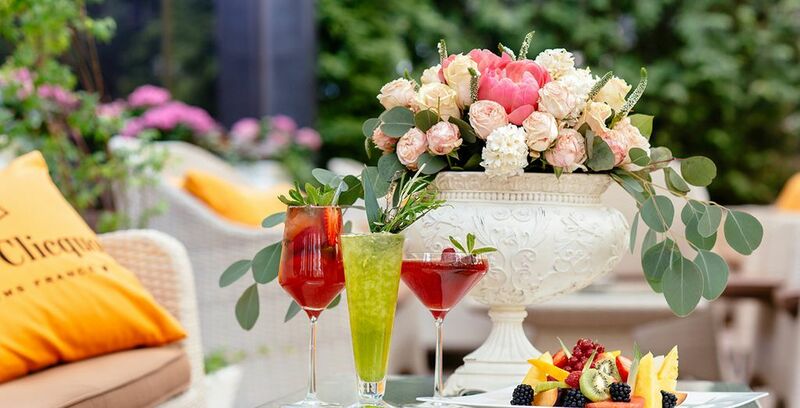 Springtime almost anywhere is an attractive season, but Kiev has a special touch. Any time between late April until early June is the best for exploring the city on foot. Early September to the middle of October is also a popular time for Kiev holidays. However, Kiev is a year-round destination and you can find affordable flights and a hotel to suit your budget. Most of the younger population of Kiev speaks English, so you'll be able to get by fairly easily. Discover our Ukraine holidays offers.